Just wanted to share this poster I found here. 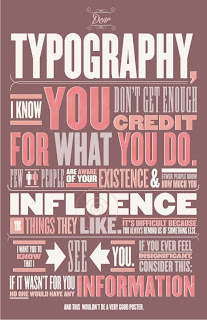 It's so true about typography. It just doesn't get enough recognition at times.